Participants must have a valid State issued photo ID that application address. All pets in the guardian's care must be spayed or neutered, vaccinated and micro-chipped to qualify for pet food support. No pet will be left unaltered, or unvaccinated in the household. We want to stop unwanted litters,the spread of disease,and reduce the number of animals suffering in our community. 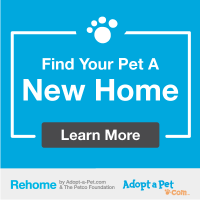 We want to make sure that No Pet is Left Behind due to the lack of affordable resources. Feral Cat Caregivers: Feral cats are wild or outdoor cats that are unfamiliar with being touched by a human or caregiver. In order to participate in this program caregivers must allow our team to humanely trap and transport all colony members to our mobile clinic or a partner clinic for services. The cats are then returned to their base camp. No member of the colony will be euthanized unless it is the most humane option for the animal. Managing the colony helps to stop inbreeding which weakens the animals immune system and promotes the spread of disease throughout the colony. Have-A-Heart:The number of reported cases of heartworm and parvovirus infection in the City of Gary is alarming. Each one of these deadly infections can be prevented with early testing and vaccinations. This program helps to provide an affordable full scale vaccine package that includes DHLPP, heartworm testing, and a six month preventative injection to protect dogs from suffering in our community. Our program offers pet food assistance to Guardians for three months to help offset the cost of surgery. Guardians currently enrolled in the program can re-apply for food assistance if needed. Cat litter refills are available to current enrollees at each scheduled pet food pantry. Cause 4Paws Gary offers pet food assistance to qualified low-income residents in need. We offer dog food, cat food and cat litter. This is a temporary service to assure that the family pet has high quality nutrition for their daily sustainability. Enrollees must apply each month that the service is needed. Every pet in the household must be spayed/neutered/vaccinated or enrolled in our program to receive services to remain in compliance. Cat owners in need of cat litter will be required to purchase a re-fillable litter pail from Cause 4Paws Gary. There is a one-time fee of $7.00 for the pail. It may be refilled each month at no additional charge. Resident must be enrolled in our programs to help bring them in compliance. If the resident has a pregnant female in their care, they must indicate that information during the application process. Pet Food services will be discontinued for Feral Colony Guardians that allows a managed colony to de-stabilize. The pantry is not in a position to feed littering animals, as works against our goal to stop pet overpopulation in the City of Gary, and surrounding communities. Any participant that pre-registers for pet food, but fails to show up at least two consecutive months will be restricted from future registrations. They may apply in-person if there are supplies available at the time. We would like to Thank the Banfield Foundation for sponsoring our No Pet Left Behind Program with Flea & Tick Medication. Every pet that enrolls in the program will be treated at the time of surgery. Preventing the spread of the flea & tick diseases helps to protect the pet and their guardian. We appreciate your support.